So I've been sort of back and forth in terms of how I feel about Voltron: Legendary Defender. I've come to appreciate that it's its own creature relatively far-removed from the original series. Generally the same cast of characters are still there and we still have the giant combining robot composed of lions but that's about it. The narrative has gone off on its own direction, and this is probably for the better. It has certainly invested a lot into crafting this new narrative for itself and five "seasons" in things are really coming to a head. I'm still annoyed by the release schedule and these weird half-seasons that sort of leave you with a rush to cliffhanger after 6-7 episodes only. I get that it helps the team release episodes sooner than had they had to wait for a full 13 episode season to finish production, but I'm not sure if it's worth the sort of narratives we end up with. They have a lot of great potential but they also dont get developed more since in an episode or two things need to wrap up in preparation for the end of the mini-season. And that pains me. 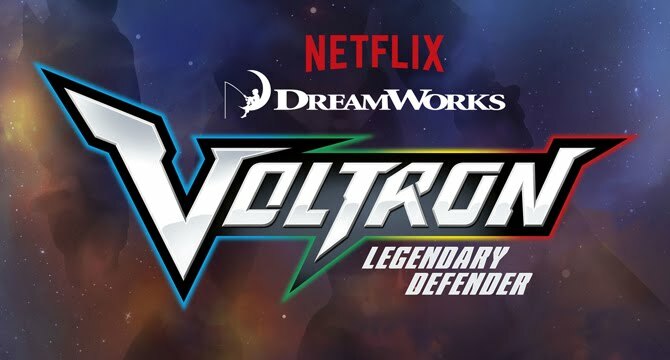 Synopsis: Voltron: Legendary Defender is an animated television series produced by DreamWorks Animation and World Events Productions for Netflix. The show has been confirmed for a sixth season that will consist of seven episodes. The season begins with the Paladins executing successful strikes using information gained from Lotor (A.J. Locascio), who has bene working with Team Voltron as of the end of the last season. However the team remains cautious about fully trusting the Galra Prince. But he dangles a most tempting piece of information - the location of Pidge (Bex Taylor-Klaus) and Matt's (Blake Anderson) father, Commander Sam Holt (Nolan North). And so a mission is established to verify if he's there and posibly rescue him. But Zarkon (Neil Kaplan) somehow gets wind of this plan somehow and secures Sam Holt and uses his as a bargaining chip with the Voltron team. He offers an exchange of prisoners - Prince Lotor for Sam Holt. Naturally things don't turn out well as a double-cross was almost inevitable, but beyond that how that situation resolves really shakes things up for the Voltron team and pretty much the galaxy at large. What I Liked: Lotor got a rather prominent role in things and I suppose that was for the better as he was one of the more interesting characters to float to the top from the last season. He is a very hard man to trust since you can smell the ambition coming off of him. But at the same time his desire to deal with the Emperor seems to place him on the same side as the Paladins but it's hard to tell what his end goal is. And this season helps shed a bit more light on his longer term plans, but I doubt we have a few view of things. This season also really stepped up trying to address the mysticism of the series ranging from how they power Voltron to other related magics that may help in their conflict with the Galra. There's a lot of secrets that the Alteans seem to have protected and this season tries to peel away some of those layers. But oddly enough Lotor is one again essential to this aspect to things as he proves to be half-Altean as he is the son of the Witch Hagar (Cree Summer), who had also been revealed to be of Altean descent previously. What Could Have Been Better: With such limited episotes to tell a story, this season felt a little all over the place as we jumped from major plot point to plot point. The first two episodes were more or less focused on the rescue of Samuel Holt and the next two were about Lotor and Zarkon coming to blows. The end was about Lotor as a Galra leader then Lotor reclaiming some of his Altean heritage. So it's a lot to cover and they're all good stories but I wish we explored each in a bit more detail instead of this compressed mess. And Lotor's rise to prominence means we've largely shifted the attention away from the others so Hunk (Tyler Labine) appears a lot but doesn't really grow as a character and Keith (Steven Yuen) is all but lost to us as this elaborate spy caper. He has some back story development but at this point it's hard to staty all that invested since he's generally far from all the action with the main group + Lotor. TL;DR: Voltron: Legendary Defender is an interesting series with a long-teased mysterious back story to it that is slowly getting revealed across the seasons. While each season tries to accomplish a bit more than it should, the end result is still quite entertaining and geekily satisfying. Thus the fifths season gets a good 4 Galra generals coming out of nowhere out of a possible 5.